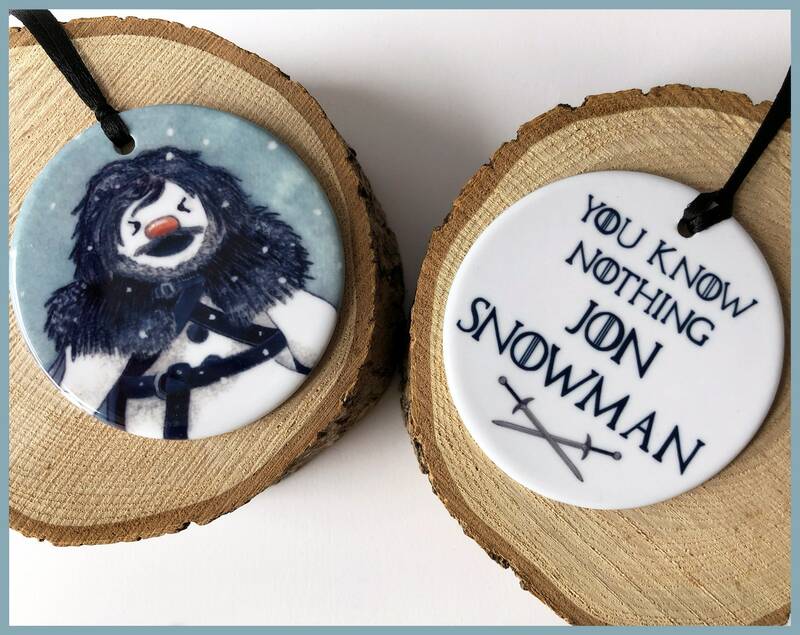 "You know nothing Jon Snowman"
Available in two beautifully made ceramic shapes the Jon Snowman tree ornament will look great on any Christmas tree, he will also stand guard against Wildling invaders! 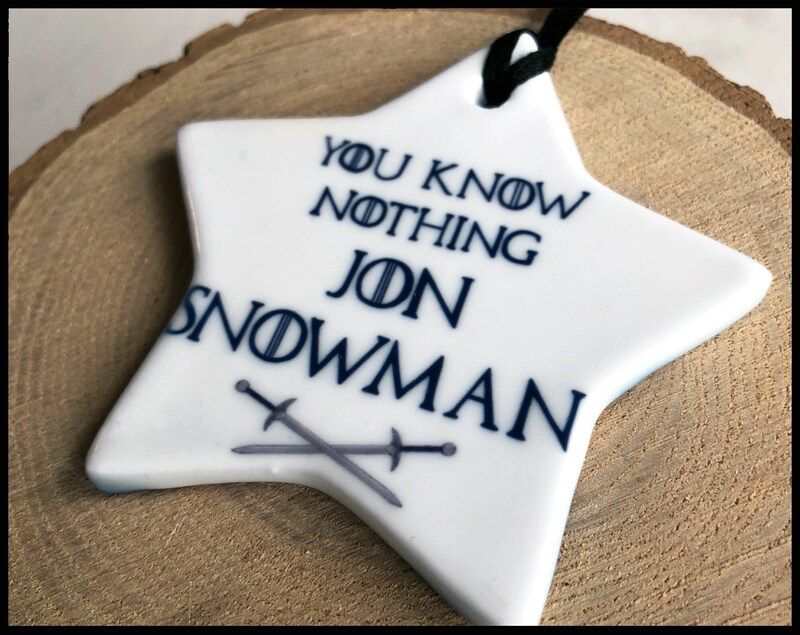 This double sided ornament features Jon Snowman on the front and text reading "You Know Nothing Jon Snowman" on the back. Theres a black silk ribbon threaded through the ornament to hang from the tree. Choice of shape: Star measures roughly 8cm x 8cm, the round ceramic ornament measures 7.5cm x 7.5cm. Please make your selection from the drop down menu. 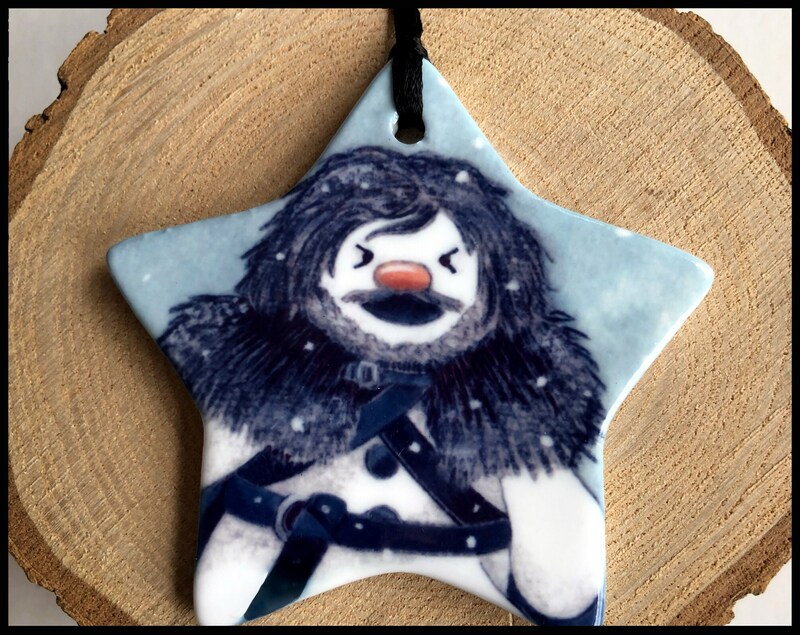 A perfect stocking filler for any Game of Thrones fan. Great secret santa gift for a GoT fan. Seller was very communicative and even offered to hand deliver in order for it to get to me on time. Very much appreciated - and highly recommend seller. Thanks! Arrived just as pictured in listing! 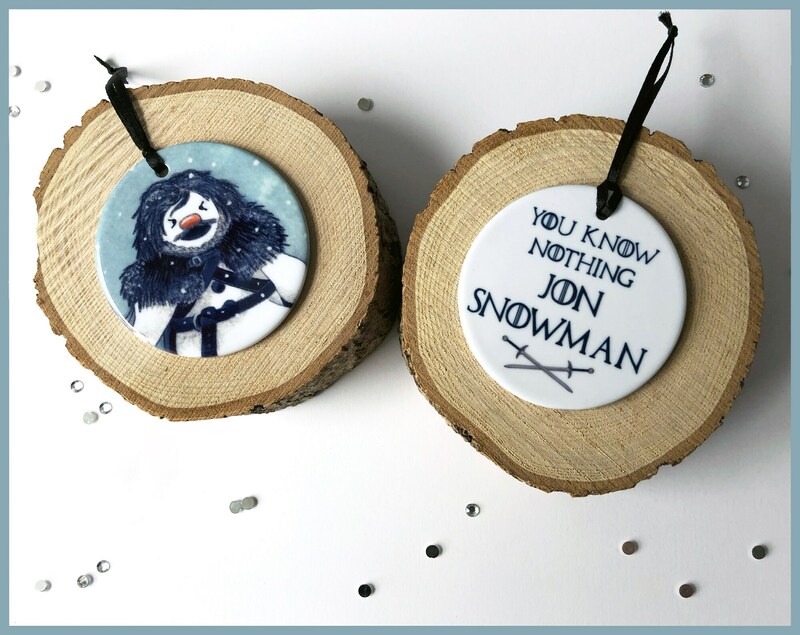 Was a hit with our GoT loving friends at our ornament exchange! Thank you! The delivery was so fast and my mum (the recipient) loved it! 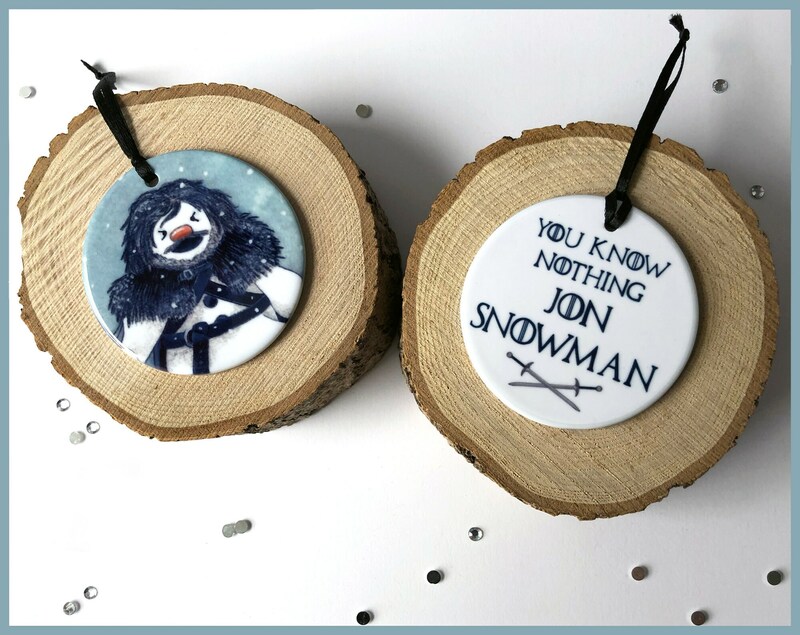 Great ornaments and speedy shipping time to the US. THANK YOU!